Postcard NL-2528251 from the Netherlands shows the city views from Alkmaar, the Netherlands. 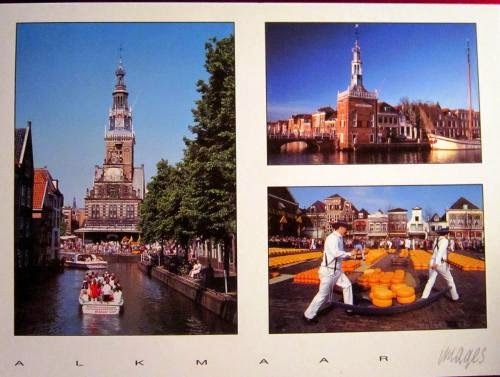 It is famous for its traditional cheese market, as shown on the bottom right. The North Holland Canal, as seen on the left, was dug through Alkmaar and opened in 1824. 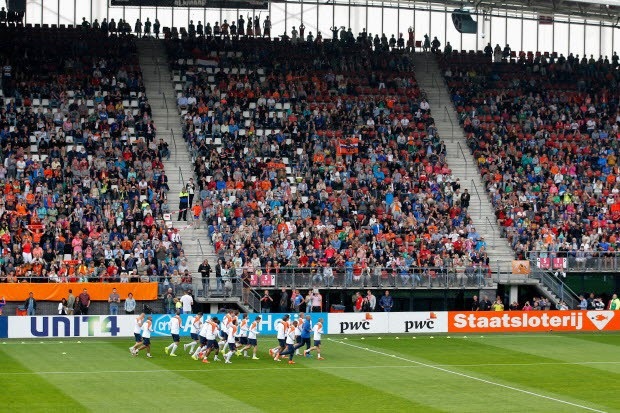 Alkmaar is home to the professional football team AZ (Alkmaar Zaanstreek) with a 17,000-seat stadium, the AFAS Stadion, where the Dutch national football team trained in preparation for the 2014 FIFA World Cup in Brazil. In today's Group B match, the Netherlands beats Australia with a score of 3:2.